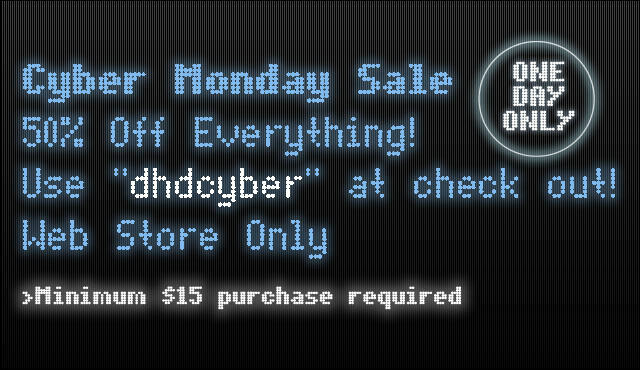 November 21, 2012, MILWAUKIE, OR - Close on the heels of the infamous holiday shopping weekend, Dark Horse Comics is giving you another killer deal for Cyber Monday. Dark Horse Digital is offering comics fans 50% off their entire order for 24 hours! You can redeem this 50% discount with the coupon code "dhdcyber"
November 20, 2012 - Mezco's email newsletter had a few coupon codes, you can use them from 1am EST 11/23 - 12am EST 11/26, 2012. Although you cannot combine these coupons, you can place separate orders to take advantage of each coupon. Limit one discount code per order, offer valid until 11/26/2012 or while supplies last. May not be used retroactively. All sales are final on item purchased with coupon codes. Valid only on retail items, cannot be used on wholesale purchases. No rain checks or substitutions. WAYNE, N.J., Nov. 19, 2012 -- To celebrate the official start of the holiday shopping season, Toys"R"Us® today announced exceptional deals and savings on thousands of items on http://Toysrus.com, beginning Thanksgiving morning through Cyber Monday. Customers will have early access to the company's "Biggest Cyber Monday Ever," as online shoppers "click start" to fulfill little ones' wish lists beginning at 6pm EST on Sunday, November 25.